May the blessings of our Lord Jesus Christ be always with you! I hope that you and your families are having a wonderful summer. The staff of Holy Cross Catholic School is very happy that your child is returning to our great school and we are looking forward to a good and happy year! We welcome all of our new students and families! I am blessed and honored to be hired as the Principal of Holy Cross Catholic School. My husband and I have four wonderful children, one dog and two cats! My educational experience includes working with the Archdiocese of Santa Fe for thirty-seven years—twenty –six of which has been with Catholic Schools. I have worked as a teacher for thirteen years and as a principal for seventeen years. I have also worked as Director of Religious Education and have been the First Grade Teacher at Holy Cross for five years. My degrees are a B.A. in Elementary Education and an M.A. in Educational Administration before becoming Principal. 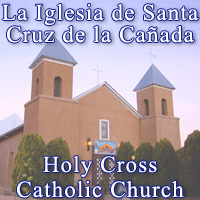 I have been Principal of Holy Cross Catholic School for six years. I firmly believe in the importance, mission and philosophy of Catholic Education, the education and safety of all students, compassion toward others and the uniqueness and integrity of each human being. I have a passion for working with God’s beloved children, their families, other educators and the community and have dedicated my life to this. We have a great staff for our wonderful children and are looking forward to the new school year. May God bless you and yours always!